Spring is finally here, which means it’s time to update your wardrobe with some new items to wear. It can be expensive to update your fashion must-haves every season, so it’s very important to choose wisely. Perhaps you’re looking for statement jeans, sandals, wedges, shoes, blazers, jackets, dresses/skirts, or handbags with a pop of color. Maybe you want a compact travel bag to keep all your tech products that you can’t live without, or you wish to get your favorite pet a new spring leash or outfit — there’s a mix of updated classics and trends for everyone (including pets) and for all budget needs. Below are some great spring trends to consider for work, play, school or spring break travels. Dresses for spring should be bright, cheerful and whimsical for all ages, sizes and shapes. The adorable Aubrey Anderson of Modern Family is always seen the cutest apparel, which offers some great inspiration for kids this spring! With Easter around the corner, this Girls Broderie Collar Dress has a cute Peter Pan collar and fluttery sleeves, gold sparkle trim so it’s party-ready and the floaty shape is comfortable for Easter egg hunts. This Stripy Applique Jersey Dress is just too cute. The rowing animals, a raincoat-wearing puffin and stripes combined look so adorable, whimsical and soft jersey dress features a fully twirlable skirt which makes this dress ideal for every little girl who just wants to have fun. In addition to girls, Boden also has many great pieces for boys as well. For great savings, be sure to check out its clearance items. 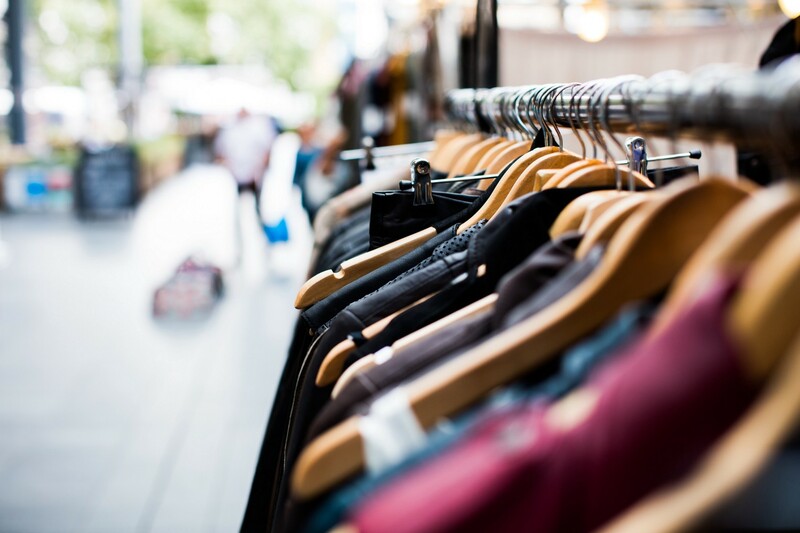 Designer fashion can be less than $100, thanks to high fashion designers such as Vera Wang and department stores such as Kohl’s that collaborate to offer trendy pieces (for all ages, sizes, shapes) at amazing prices. Choose from floral dresses, shift dresses and maxi dresses, at amazing prices that makes it easy and guilt-free to update your spring wardrobe. They come in regular and full sizes, in various colors. There are many great options: above the knee, over the knee, sleeveless, three quarter length sleeves or long sleeves, block or solid prints. With these designer clothes for all budget needs, there’s no excuse not to be able update your spring accessories and shoes too. Trench Coat (belted) is perfect for spring (it’s wonderful for covering up a sleeveless dress) and a must-have fashion statement that is a timeless classic. It offers the versatile ease of a neutral design and polished style of a fold over collar and tailored seams. The lightweight woven shell protects from wind and moisture and includes a back vent for movement. Luggage is important for all types of travels — weekend getaways, spring break/summer or holiday vacation. With strict TSA rules, it’s crucial to pick the right travel gear. A suitcase with double needle seam stitching and built-in organization panels makes traveling compact. Many people want convertible rolling backpacks and bags and that can transform to two full sized bags. or example, the Gear Warrior AWD 29 is incredibly compact, fits lots of items and moves seamlessly. The four wheels on this amazing lightweight spinner gear bag makes it very mobile, and its secure ‘Equipment Keeper™ straps bulky items to the bag. The expandable main compartment, various grab handles, top zip pocket for quick grab items, lockable zippers with central locking point, reflective finger loop zipper pulls for easy access easy and the large internal pockets for organization makes this luggage one of the best four wheel travel gear. Shoes can be expensive, so it’s important to identify what type of shoes your feet needs. Shoes that offer an additional degree of innovation and creativity are ideal for those who are looking for running shoes that offer options such as neutral, speed, stability, trial, wide options, or all of the above. Some people need assurance in a shoe: cushioning, maximalism, ultra-protection, responsiveness and soft platforms and/or a full-length QU!KFOAM™ top layer to cushion each foot strike. Some feet need to be pampered with an ultra lightweight shoe that offers extra stability to the arch to help manage less than perfect bio-mechanics, which is a must for any run. Others may desire an Olympian shoe, such as 361° which was the official sporting wear of the Chinese men’s and women’s Olympic curling teams during the 2010 Vancouver Olympics, was the provider of the official uniforms (footwear, apparel and accessories) for the 2016 Summer Olympics and the 2016 Summer Paralympics in Rio de Janeiro. Recently, it joined forces with Jelly Belly p/b Maxxis Pro Cycling Team on March 23, 2017, as the official supplier of performance footwear to all riders and staff during the 2017 season. Shoes for all day wear and feet with special needs offer a very special kind of attention for feet. Whether you’re planning on a shopping spree running from store to store, or you’re doing the Easter egg hunt with the kids, or working an all night shift — be sure to pamper your feet with lots of TLC. Consider a shoe company takes pride in making its shoes with detailed hand stitching and hand lacing. For example, just one pair of SAS’s shoes can go through up to 100 different steps and assurances before they are declared top quality. Its shoes feel so incredibly comfortable, even for troubled feet, such as in-grown toe nails, tired feet from walking and standing all day or all night long. One must-have pair of sandals for spring is the Delight wedge sandals, which has a plush leather foot bed and adjustable straps for the utmost comfort and support. The insole is covered in a full-length shock absorbing cushion and shaped to the natural arches and curves of your foot. The wedge heel’s contoured design cradles the heel and supports the entire foot. A sturdy sole base is wide enough for stability while maintaining a sleek stylish profile. For spring or Mother’s Day, be sure to check out this great new collection of sandals, pumps and shoes. Now, even those with troubled feet can fit into athletic shoes, dress shoes, pumps, flats, sandals and boots. Shoes for less than $100 can still be comfortable and stylish, thanks to footwear brands that produce sheepskin boots, such as Bearpaw. There are many different styles for men, women and kids with the highest standards of craftsmanship and finest materials. With spring showers that bring May flowers, be on the look out for something called ‘Neverwet,’ which keeps dry and help protect against damaging moisture and stains. The super-hydrophobic coating provide extreme resistance to liquids by causing them to roll off shoes, keeping them dry and clean (repels stains such as salt water, mud, red wine. Shoes that can go straight from the office to a night on the town are great for workaholics who don’t have time to change. Look for options ranging from heels to booties or wedges to flats that deliver a great style all day and all night long. Consider a Comfort Innovation that design shoes with an advanced three part system for all day comfort, support and flex. Active Arch shoes offer a contoured insole with extra arch support and cushioning are great for feet that tend to camp with flats. WorkLife shoes are great for those who require shoes that grip the floor and keep you comfortable for hours. Velocity have a special comfort flex technology with a high rebound memory foam and heel cushion that allow shoes with heels feel as if you’re walking on air. Thanks to footwear companies like Lifestride, it’s possible to run with the kids to school or rush to the train in high fashion style without having to worry about falling or slipping while wearing heels. Women’s Nite Run Running Shoe costs less than $100 and is perfect for a jog on a nice spring day. It has an LED light in the midsole for added visibility in low light conditions and can be turned on with the push of a button. The textile upper with synthetic overlays and round toe makes it incredibly comfortable. The gradient fade design and flowing lines create a feeling of forward motion. It has a lace-up front, Women Run The World™ Anatomical Precise-Return™ footbed, translucent EVA midsole and a dual density rubber outsole that is softer in the forefoot and harder in the heel. Pets are like kids, and need attention too! Whether you have a dog, cat, fish, birds, hamsters or guinea pigs — be sure to visit a destination for all pet products and services. With the warmer weather here, your furry friends will need pet services such as grooming and dog training. Spring is here so everyone’s taking their dogs out for walks, jogs and shopping; therefore, stylish leashes are a must. Seasonal wardrobe changes and bath/body products aren’t just for people, but pets too, so be sure to check out apparel, grooming and bathing supplies. Tech Bags such as laptop bags, are a must-have for all those who travel with their laptops, tablets, and all sorts of tech gear. Not only does it protect your tech products while you travel or go hiking, but it is very compact and stylish. In addition to laptop bags, there are also packs, fitted cases, and other accessories designed to make doing whatever you’re doing easier, safer and a little more unique. In addition to laptop/iPad/tablet bags, there are also bags for MacBooks, Microsoft Surface, all your favorite phone and tech accessories and more! STM products are loved worldwide, which is great for all those who love to travel with style, and with a peace of mind knowing that your tech gear is in good hands — even when you’re hiking, camping or traveling the world with friends and family. Originally published at www.lifestyle411.net on March 24, 2017.